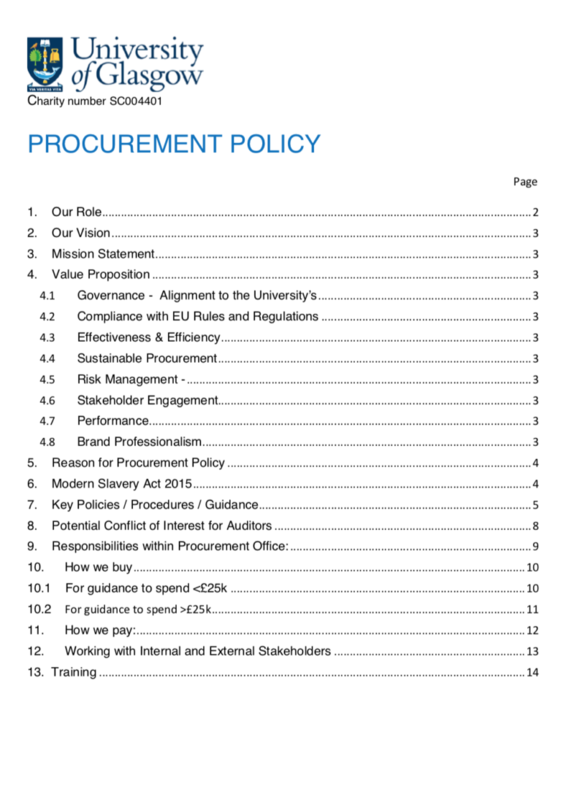 string(1007) "Resource Centre > Uncategorized > Procurement Policy"
The University purchase circa £196m worth of goods and services from external providers each year. The University Court requires the institution to be fully compliant to EU rules and regulation and procurement policy. There is a requirement to deliver best value for money across all spends in accordance to agreed budgets, to ensure misappropriation of funds is eliminated. The Procurement Office is responsible for procurement of all goods and services required from external suppliers ethically and in compliance with legislation and EU regulations. It is responsible for providing guidance and support across all areas of the University through its “Value Proposition”. The Procurement Office is the central strategic procurement team, which supports the University in achieving its objectives and strategic vision. To support departments and staff with delegated purchasing authority, the Procurement Office has developed this policy document along with procedures, forms, templates and guidance through these key policies below.